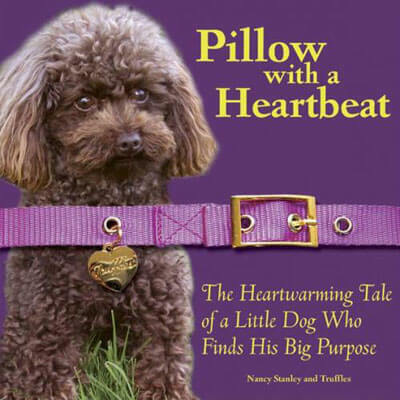 The Bookworm, 87th & Pacific, 6 p.m. -7:30 p.m.
Truffles – Truffles the Therapy Dog will be in Omaha with owner Nancy Stanley as the latter promotes her new book Pillow with a Heartbeat: The Heartwarming Tale of a Little Dog Who Finds His Big Purpose. The book is written from Truffles perspective, describing how he became a therapy dog. A therapy dog is trained to provide affection and comfort to people in hospitals, retirement homes, nursing home or whoever may need their comfort. Nancy and Truffles want to share their stories and visit with anyone curious about therapy dogs and wanting to meet Truffles.